Ahhh those were the days… Remember when an AOL CD came free with everything from a newspaper to a loaf of bread? You wouldn’t be able to get out of your house in the morning due to the pile of pointless shiny discs underneath your letterbox. On occasion, you had to take days off school or work whilst digging your way out. Our postman would feed us Mars bars through the letterbox. Digital snow days were such a nuisance in the 90s. I think everyone knows what I’m talking about. It cost over $300 million to produce these CDs, and to what end? There were the obvious “green” issues, which are hard to ignore when you’re wasting that amount of plastic (and card packaging). 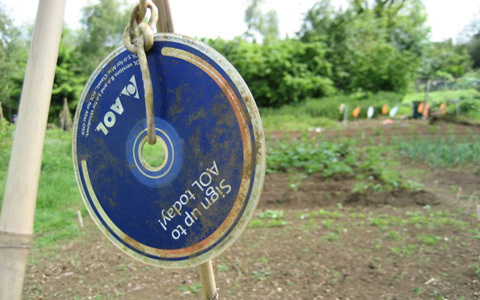 I can honestly say that I never once actually used an AOL CD for it’s intended purpose – and I wasn’t alone – gaze upon the AOL Throne, or these alternate 61 uses for the spam CDs.